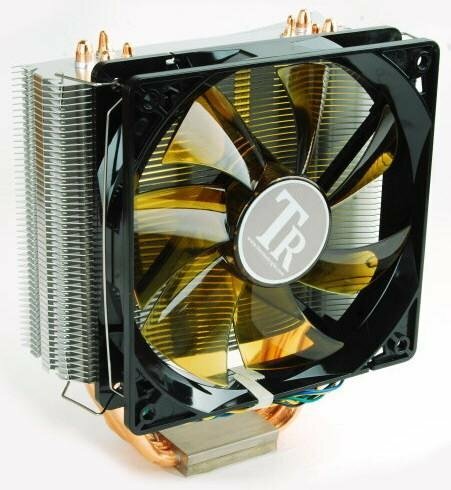 TC Mag writes ThermalRight will ship its new True Spirit CPU cooler within the next two weeks. This tower heatsink comes with a 120mm fan and supports all contemporary desktop chips from AMD and Intel. The True Spirit is made up two components, a 133 x 52 x 160 mm heatsink with 48 aluminum fins and four 6mm copper heatpipes, and a 120mm fan that operates at 1000 to 1500 RPM (19.6 to 37.4 dBA sound output).